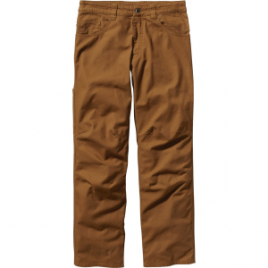 The Patagonia Men’s Utility Duck Pants were made for projects both in the shop and on the wall. Made of a durable, organic cotton canvas, they’re built to last. For comfort when climbing, the pants are fitted with articulated knees, a curved waistband, and a gusseted crotch.